Well... I wouldn't say they are "evil", ha ha... but I would say that it's a sales pitch. Now, the $700 mass-marketed devices with a tiny amount of diodes are indeed EVIL, though! The frequency of LLLT treatments with professional laser clinics vary widely. Most are usually one or two times a week, and most say that you only need to use the treatment for six months or a year, and then you need to only do "maintenance visits" from then on out. http://www.thesalonatwestchester.com/LLLT/Index.htm "Once the maximum benefit is reached, the user must continue treatments 3-5 times a week to maintain their results to slow and/or stop any further hair loss." Here is the most simple explanation to why laser clinics say that you need to go only one or two times a week -which is contrarian to any body of scientific knowledge I can get my hands on... it's the bare minimum where you will see some results, and it's about the maximum that a customer will be willing to get in a car, drive to an office during the work week, wait in the lobby, then sit in a chair for 20 minutes. THAT'S WHY! These places are a business -and those laser clinic devices are HELLA EXPENSIVE. They need to sit as many warm bodies in that chair as they can to make a profit, pay for their boats and beach houses (nothing wrong with boats and beach houses, by the way), etc. Plus, they know that it's a "tough sell" to convince people to get to their office one day a week -heaven forbid three or four. It just wouldn't happen. "Hey, future customer... pay me $3000 for six months for the privilege to drive to my office during your lunch break three or four times a week." Yeah, not going to happen! Also, I think that laser clinics (or the manufacturers "advising" these clinics) are pretty dishonest when they say that you need to go "x" times a week at first, but then you can reduce it to "y" times a week later, eventually petering down to none or just an occasional "maintenance visit". There is nothing that supports that anywhere! Again... that's just a selling point because they know that you won't want to spend that much money for the rest of your days! This just really hit me today, and it's so obvious that I don't know why it didn't hit me before! There isn't any other type of treatment in the world were you "peter down" like this when the underlying problem is still there. Chemo? Yeah, but chemo targets something and destroys it. When it's destroyed, it's destroyed. Chemo isn't a solution for cancer that keeps coming back like hair loss would. Get my point? I think the motivations are somewhat similar to the laser brush/comb manufacturers purposely giving a time that's too short... you know, no one would want to spend 200 minutes or whatever a night using a laser brush, so they tell you to use it 30 or 45 minutes or whatever. To sum it up, I think they know that in a couple of months, the person will start getting results from the two/three times a week treatment. Therefore, they are past the "money back guarantee" threshold. I think they also know that NO ONE would use their services if they knew that had to keep going two/three times a week forever. So yes... we all SHOULD know our laser results aren't permanent. In fact, I'd be willing to say that the results will stop almost as fast as they started. I bet that if I quit, and then in three and a half months (the time I first really noticed the dramatic improvements) cut my hair really short again, the new hair that was left would be as crappy as it was before I started the laser treatments. Even if I'm wrong about the timeframe... you know that my hair would degrade eventually, probably sooner than later. It's just so DAMN OBVIOUS all of a sudden! lol... Man, you've got to keep doing this laser stuff if you still want your hair to look as good as it can! These clinics are freaking either ignorant or deceptive, and the manufacturers are *definitely* deceptive! Every laser study implies that laser benefits are dose dependent, and I've never seen anything that says you can taper off down the road and still get the same benefit! There isn't a "jump start" period that you need, either. With most anything I can think of off the top of my head, you don't go balls-to-the-wall at first and then back off to "maintain". That's a farce... if you want to "maintain" with working out your body, for example, you'll be in for a real shock if you back off your workouts and think you are going to keep your current results. That's NOT the way it works. That's all for now, but guys... I'm probably right. Don't trust those guys on the timeframe. If you can afford to spend that money every year, that's fantastic (and can I borrow some money? lol...). If not, get a helmet -and you've got the same thing right in your living room that you CAN use the proper amount of time per week and for years to come. Don't fall for it... just like anything else, you have to keep doing it to keep the benefits! LOTS MORE TO SEE!!! VIEW ALL ARTICLES IN THIS SECTION! What a FANTASTIC WEEK for the “common person” like you and me! This is an old article from October 17th, 2008 that I wanted to "re-up" and transfer to the new site. It's a great reminder that even DOCTORS that you think would be on top of cutting-edge hair loss research can still be relentlessly unethical (and idiotic). Also, it showcases one of the worst-of-the-worst in deception and trickery from a mass-marketed inferior laser device manufacturer! 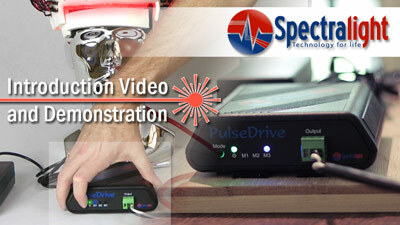 The $40,000 benchmark for laser clinic professional devices! ...and my helmet uses the EXACT SAME DIODES (and, umm... for A LOT less money! Ha ha!!!). Photographing laser therapy in action is actually pretty hard. The lasers BLOW OUT the picture very easily. Laser Clinic for Hair Loss Success Rate Observations… 71% in the first 6 months, 80-90% after 1 year! Those are the stats from Dr. Maricle -one of the world's leading authorities on LLLT and hair loss- based on his observations and information gathering over his long, expansive history with laser therapy for hair loss. This is key... those aren't STUDIES that don't translate into "real life". Those numbers are REAL WORLD NUMBERS from REAL PEOPLE. Those numbers represent what is actually occurring in clinics with laser devices that provide the necessary 3-6 joules of energy under each diode to thousands of customer's scalps all over the world. These aren't simply "studies" that happen somewhere in some text. These are REAL LIFE/REAL WORLD RESULTS! Description of Comments / Rules / Whatever!!! Laser Usage Protocols section COMING SOON in Fall 2016!!! This is going to be THE. HOTTEST. SECTION. on this site! It's the section that you will come back to and check often! My helmet is the best, but there are things you can do to make the best EVEN BETTER. I've been giving these to my customers for years via email (and you can email me for them if you are a customer and don't have a copy! ), but it's time to make public multi-media presentations for them! 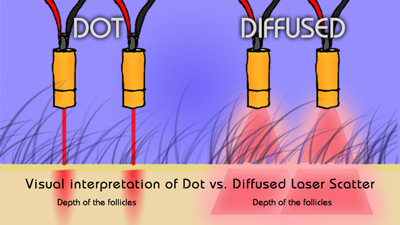 LLLT Safety Part II - Addressing EMF fields when using LLLT/Laser Therapy for Hair Loss! People are more conscious about health effects the "unseen" waves around them -particularly EMF radiation and Wi-Fi. So, all those laser diodes up on your head must be generating a lot of electromagnetic fields, right?? WRONG! 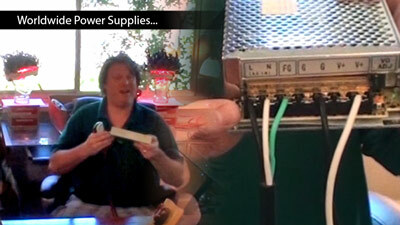 The brunt of EMF radiation is generated at the POWER SUPPLY! Don't wear the power supply on your head and you are fine! “Would You Take a Knife to a Gun Fight?” Laser Light vs. LED Light… the DIFFERENCE explained! Think L.E.D.s are as good as laser therapy/LLLT for Hair Loss? DEAD WRONG. L.E.D. 's are indeed useful for skin and health -and probably show some merit against hair loss- however, it is *not* the same thing as explained in my blog entry. It takes REAL LASERS to make a profound impact on hair loss for several very real reasons explained in this article! How many times a week should you use your laser device for hair loss?? -ANSWERED! The TIME you use it each session depends on the device --I know EXACTLY how long to use the Laser Messiah II. ...But how many TIMES A WEEK is a little bit more flexible! Here are the guidelines and the more recent conclusions that I've come to based on hearing from hundreds and hundreds of my customers (and my own experiences!). Please note that I'm talking about REAL laser therapy device --professional ones, my Laser Messiah II, etc.! Not the mass-marketed CRAP out there! Lens caps remove power, cover less area, and we found devices with lens caps to be less effective. ...but it's sure helps the mass-marketed, inferior device companies from having to deal with customer problems! VIEW ALL ARTICLES IN THE ARCHIVE! NOW SELLING TO THE PUBLIC: BUY a Laser Messiah II!!! 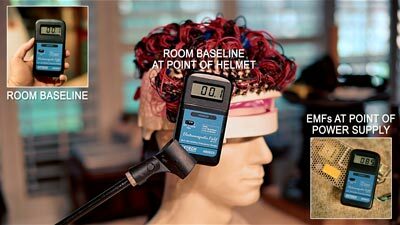 The World's Greatest Laser Helmet for Hair Loss can now be yours! 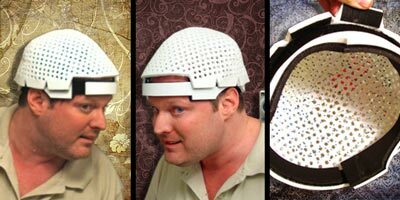 Fully-wired, a DIY KIT, or just the "helmet only" --email omg@overmachogrande.com for details! Buy a FULLY-WIRED Laser Messiah II! Buy THE BEST, and accept no substitute! The Laser Messiah is the ONLY DEVICE that follows the best principles and key concepts of laser therapy / LLLT for hair loss! 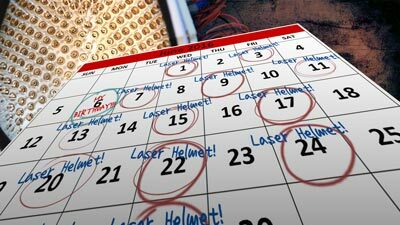 Also, it's the only laser helmet that is fully-customizable, upgradeable, and user-serviceable! ...why would you want anything else?! 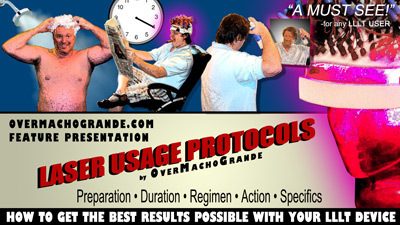 Email me for pricing and options at omg@​overmachogrande​.com today! This is my PASSION, and I have extensive experience with many other treatments as well (as shown with my "Laser Enhancement Protocols"), and together we can really hammer down a great regimen! Let me hear from you! Absolutely unsurpassed coverage and performance --PERIOD. Part II - Additional Common Diode Patterns for the Laser Messiah LLLT / Laser Therapy Helmet for Hair Loss! This helmet is fully-customizable! ...but I have established some great tried-and-true patterns over the years that will fit most needs! Pulsing Lasers with the Spectralight PulseDrive - ONLY FOR THE LASER MESSIAH II!!! 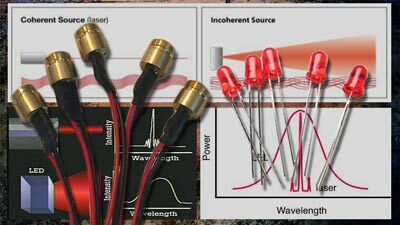 This is a HUGE DEAL, and it's never been done like this for a laser device with so many diodes! Updated May 26th, 2016 ! 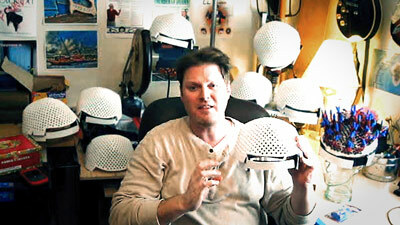 Video by John Steele on the Sprectralight PulseDrive --the greatest laser helmet in the world just got EVEN BETTER! Currently out of stock, but will get more! Email OMG for timeline at omg@​overmachogrande​.com! 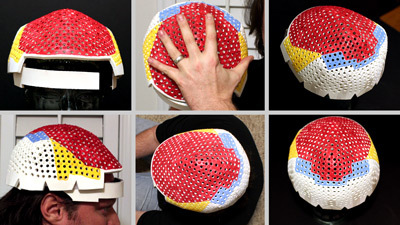 Common Patterns for the Laser Messiah Laser Helmet for Hair Loss: 300/366/400 diode footprints explained! Look at this COVERAGE, man, WOW!!! 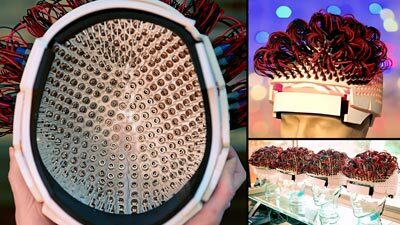 Worldwide Power Supplies for Laser Helmets—The Laser Messiah LLLT device for hair loss will work all over the planet! They work worldwide! 100-240v, and 50/60hz! Introducing the “Laser Messiah II” Hair Laser Helmet! ...and I’ll make this one for you! This was my original article from 2009 announcing that I was making the Laser Messiah II! This has great comparisons between the Laser Messiah I (the one you build with the free instructions) vs. the Laser Messiah II (the one I build, and the greatest laser helmet for hair loss that has ever been created!). 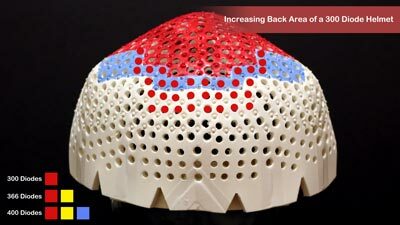 This is the helmet that totally BLEW AWAY the Laser Therapy Industry! To this day, there is still NOTHING that compares!!! Updated May 25th, 2016 ! Spoiler alert... it's ONE SIZE FITS MOST, and by "MOST", I mean almost every person out there! VIEW ALL ARTICLES IN THE "BUY A LASER MESSIAH" SECTION! Copyright 2005- 2019 by John Christian / First Coast Innovation, Inc. | All rights reserved. Absolutey NO MATERIALS from this site can be used for commercial purposes/non-individual use!!! 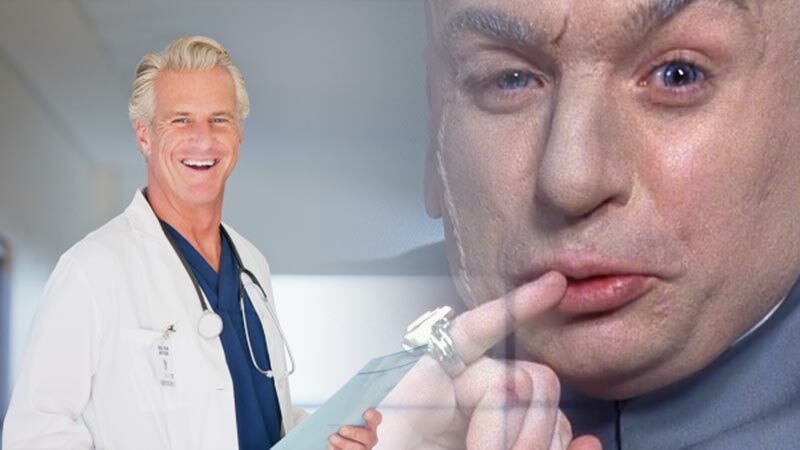 Laser Messiah® and Revolutionary Anti-Aging® are registered trademarks and may not be used without permission. 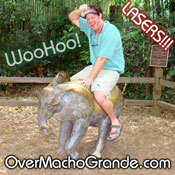 OverMachoGrande™ is an unregistered trademark in use by John Christian. This new site is dedicated to the memory of my best friend, Sailor (the one-eyed cat in the DIY Instructions).